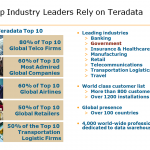 Teradata is an enterprise software company that develops and sells a relational database management system (RDBMS). Teradata is considered as a “Data warehouse system”, which can manage data, store data & BAR (BACKUP, ARCHIVE &RESTORE) data. 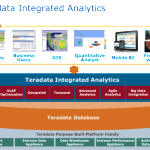 Are you hoping to learn Teradata in very simple way. 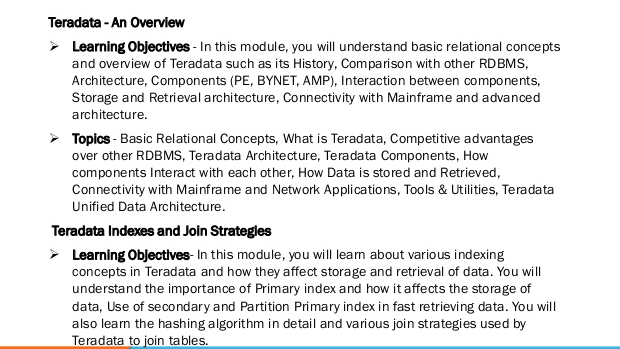 On the other hand, you can watch the below video by our Teradata Industry Expert along with practical sessions. Teradatatraining masters the learners in using the tool for business analysis, storage of data in the offsite recovery center and its retrieval.